"She will take your breath away." 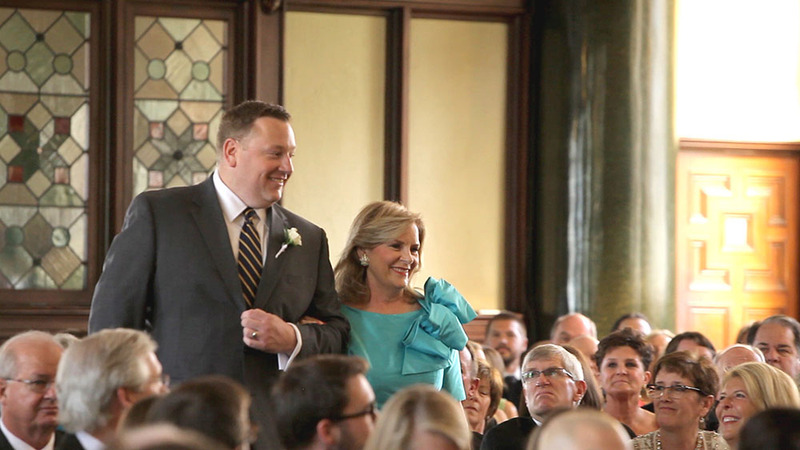 Although we have many favorite moments from Lauren and Michael's wedding video, one of our favorites came just before the ceremony began. 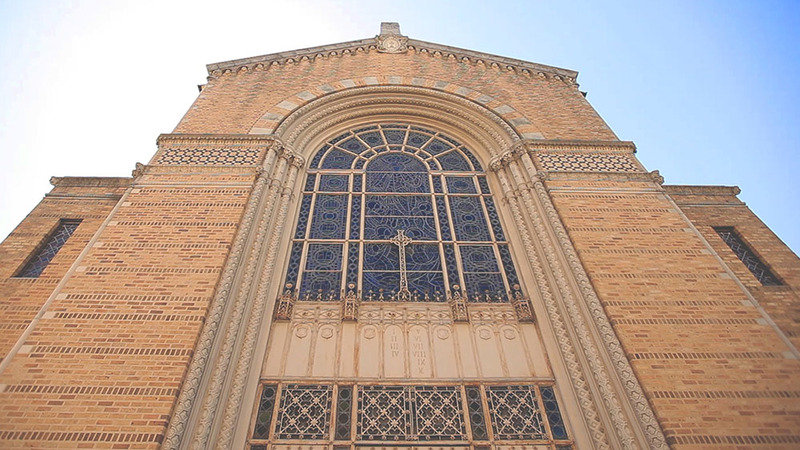 As family and friends began to gather under the gilded mahogany beams of Central Christian Church, the father of the bride went to see his only daughter in her wedding dress for the first time. His reaction was one of awe as he beheld Lauren, glamorous and radiant. Her beauty and kindness seemed to fill the room with light. As everyone held their breath to see if he would cry, he managed to hold it in until after he had walked over and hugged her. His eyes began to fill with happy tears as he gave her a wink of assurance. Although it may seem so short, to us, that tiny wink communicates a world of things - joy, approval, and a deep bond of love that is shared between father and daughter. He went to the groom immediately and told him "I'm not prejudiced, but I'm telling you right now that she is stunning. She will take your breath away." 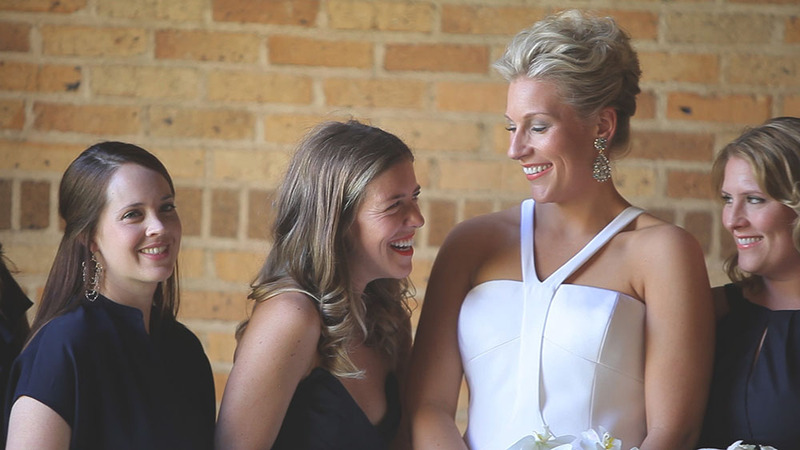 Lauren's dad was not the only one to express so much joy on the wedding day -- happy tears were shed all around, and the dancing at the reception painted permanent smiles on our faces, it was so much fun. Lauren & Michael were both so effusive in their displays of joy, and their tenderness toward each other and their families. Tender and wild with joy, this wedding re-defines what it means to have a celebration. 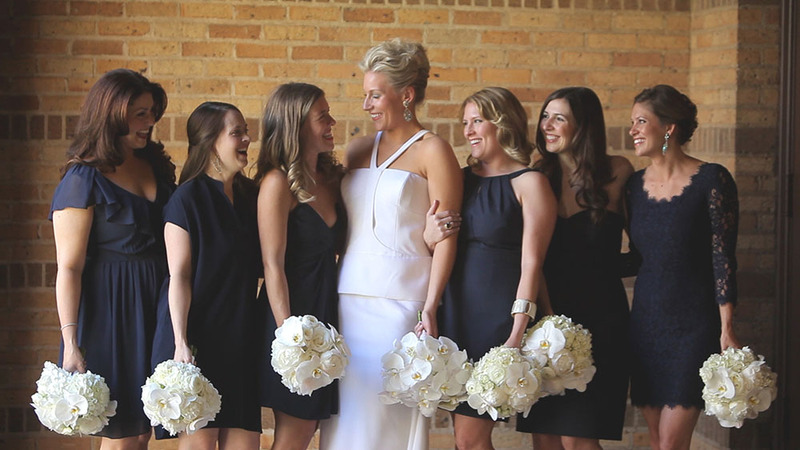 The wedding day began for the groom at Omni Barton Creek Resort with straight shaves provided by Shed Austin. 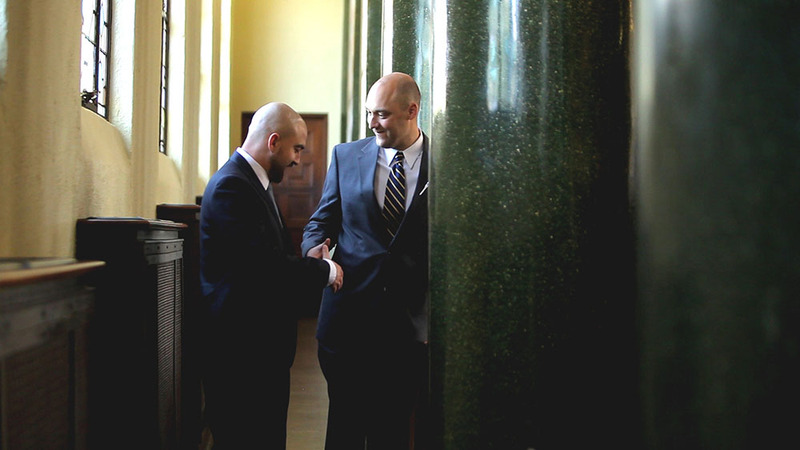 They were able to set up all the necessary accessories for a straight shave right there on site so that all the groomsmen could have a relaxing, clean cut grooming experience. Lauren wore a knock-out gorgeous cocktail ring custom-made by Erickson Beamon that matched her earrings, and her "Mara" gown by Vera Wang featured very sleek architectural detail on the bodice with an elegant, minimal peplum cut at the waist. Combined with her sweeping up-do, you can see why her dad said she was "stunning!" 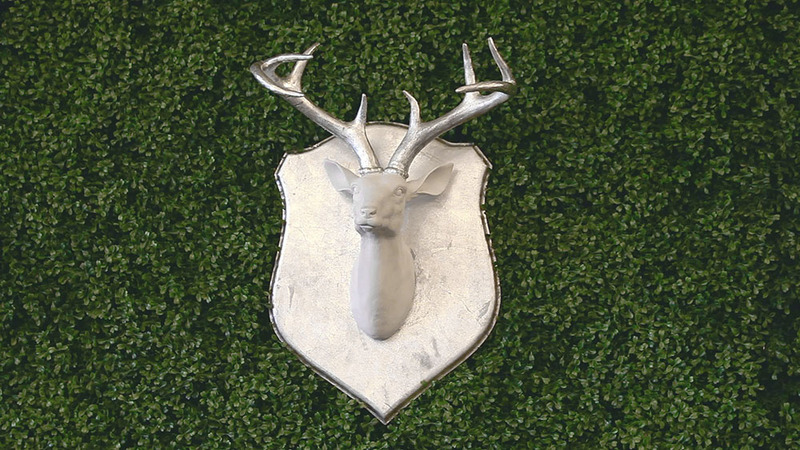 Becky Brock & Henry Uribe's design team converted the rustic foyer of the Barton Creek Ballroom into a magical indoor boxwood garden, complete with white-washed taxidermy, gold & navy adornments, and a beautiful mix of mercury glass, preppy geometric patterns, golden antlers, and fun snacks. Lauren & Michael are true Austinites --- they love spending time trying new Austin cuisine, spending time with friends, and being outdoors. The food at their wedding reception reflected all these themes in their relationship--each item on the menu and decor vignette was designed to communicate the story of their lives--with buffet tables dedicated to Lauren's family homestead, the 4L Ranch, a foodie buffet-heaven of their favorite date-night ATX foods, a buffet filled with Michael's family recipes, and a lemonade bar with custom fruit infusions. They also had a lounge set up next to the ballroom with a coffee bar styled to look like Michael's favorite coffee house in Nashville, and a "sweet shoppe" that gave out several types of cookies that were all special family recipes. Many guests were happy to see Mamaw's and Dede's special cookies there. Lauren went to Hilton Head for a girls trip to celebrate her 30th birthday. On the very last day, the girls took Lauren to a spa day, and as far as Lauren knew, the plan was to hang out with her friends for a bit at a bar on the beach before dropping off one of the ladies at the airport. When they arrived at the beach, they walk down a path to this "bar." Little did Lauren know, but there wasn't a bar anywhere in the vicinity. Being completely oblivious, she took her time to enjoy the scenery, snapping some photos of the water. As she was taking these photos, she suddenly saw Michael standing on the beach about 200 yards away. Instantly bursting into tears, she walked to where Michael stood, he got on one knee, and proposed. As we have gotten to know Lauren and Michael, we have discovered that every pure, magical moment in their lives is also accompanied by something completely hilarious---during the proposal, Michael's brother, James, was hiding in the bushes on the beach to take pictures, but he was IN FULL CAMO. So great, right? Lauren's friends discreetly drifted away and headed back to the beach house to give Michael and Lauren some time to sit on the beach and take in the moment. When Michael returned Lauren to the beach house, she was greeted with yet ANOTHER suprise- her entire family and Michael's entire family were there to celebrate the engagement, and Michael had organized all of this in secret! She was completely surprised. They all celebrated at the house that evening and enjoyed the company of their newly combined family and a fantastic chef-catered dinner that Lauren's father arranged.